As part of your plan to control high blood pressure lets put together a walking program. To be physically fit you need to develop enough flexibility, muscle strength, muscle endurance and cardiorespiratory endurance that allows the body to meet its everyday demands of life. This exercise program is part of a consistent 10,000 steps a day. It will do wonders for the body. Has tremendous long term mental benefits in helping to clear the mind and relaxing the body as you breathe deeply. Our Creator made our bodies for walking, it is free and the easiest exercise to do. All you need is a pair of quality sneakers. 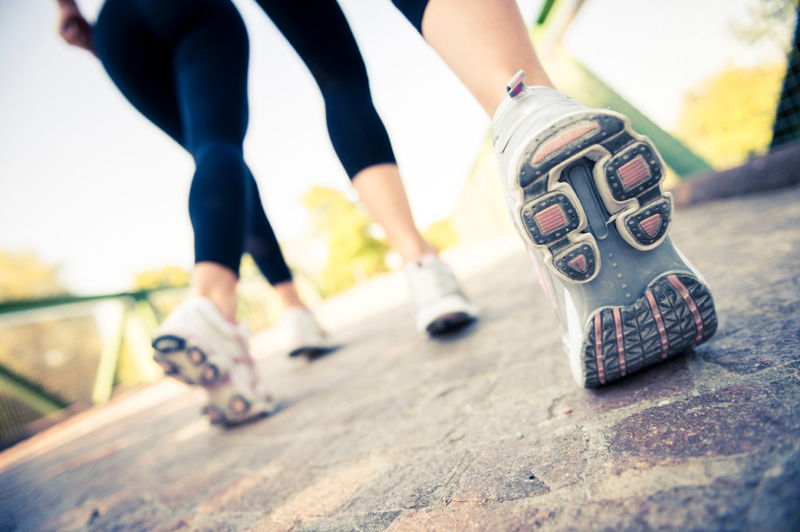 Walking should be part of your exercises to lower blood pressure. An active body uses fuels, and the fuel that support these activities are glucose - from carbohydrate, fatty aides - from fat, and to a small extent amino acids - from protein. The reason for the 10,000 daily steps is that it is the answer for health and longevity. Researchers further states 10,000 steps seem to help break down insulin resistance which is an underlying cause of type 2 diabetes. Any form of movement keeps us fit, but walking we know for a fact keeps us healthy. In general this amount of exercise helps in the control of our glucose levels in the blood. If left high it can become hazardous to our cells. And also best of all this exercise is not hard on the joints or your back. And is a natural stress reliever. But remember some of the best benefits with walking to a better health is you do not need any special equipment, accessible to everyone, its a low impact exercise, its free and improves your mood. It is recommended that your walking program should be at least for thirty minutes five days a week. For me I prefer walking outside at the Park instead of on the treadmill. Getting outside you get to enjoy great sceneries, people watch and feel the wind in your face, rejuvenating you along the way. I find the muscles on the back of my legs gets a much better workout and my knee joints and back doesn't hurt when I do outside walking. So decide for yourself what works best for you and go for it. And remember even doing walking in a pool is also great - I think it is even harder than walking outside and your joints and back are all supported by the water. Get started today and keep moving to stay fit, healthy and strong.